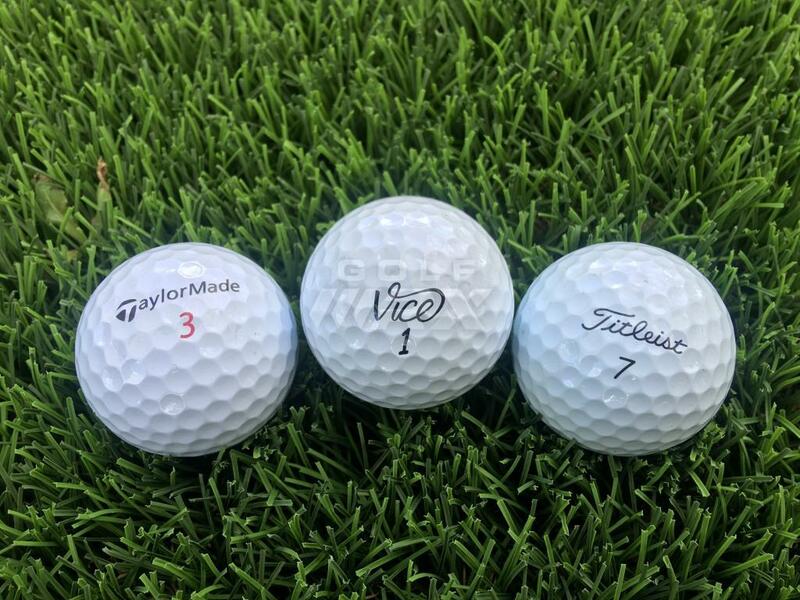 Discussion MEMBER TESTING: Vice Golf Balls! See What Members Are Saying! 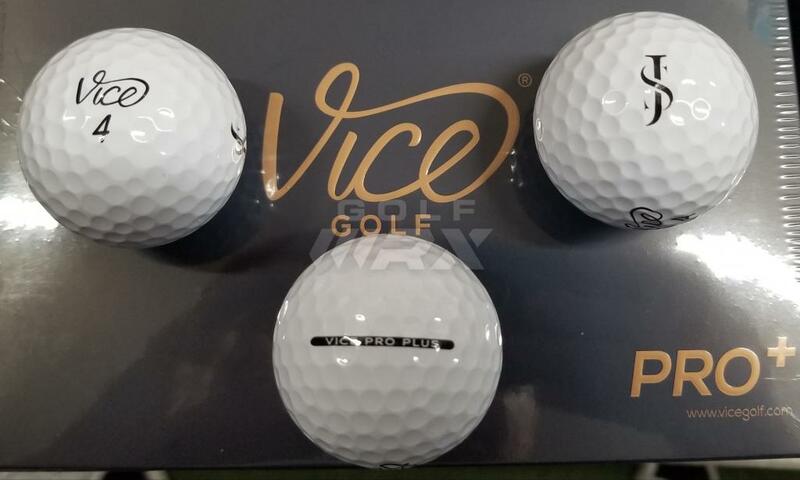 MEMBER TESTING: Vice Golf Balls! See What Members Are Saying! Please take a look at their reviews and if you have any questions feel free to ask them! We also want to give a big THANK YOU to Vice Golf for putting on this testing! Congrats! I can’t wait to hear what y’all have to say about these balls. Thanks to Vice and GolfWRX. I will be updating this post along the way with SkyTrak data as well as on course thoughts. 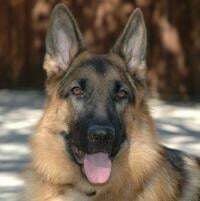 A little about me, I am a 7 handicap with a pretty quick tempo and aggressive transition. I get to parallel or beyond at the top in most cases. As you will see, I hit a push draw when practicing on SkyTrak although it is not as pronounced on the golf course as it seems to be on SkyTrak. My irons are Titleist 718 CB's with KBS Tour C Taper 125 S+ shafts so the lofts are very traditional by today's standards (PW - 47, 7 Iron - 35). Here is a sample size of 5 shots with my PW and 7 iron comparing the 2016 ProV1 to the Vice Pro+. I am finding the Vice to feel more firm than the ProV1 and probably closer to the ProV1X. I was hoping these would be a touch softer than the ProV1 but not as soft as a Chrome Soft. As you can see from the data, they are performing very similar so far. I do not find this too surprising as the direct to consumer ball market has definitely proven that their balls are as good as their more expensive competitors. I finally got to the course for a couple of hours this evening and I am impressed with this ball. The course was slammed and going out as a single allowed me to play multiple balls along the way. Wind Performance: The wind was blowing at around 10 mph give or take so it was nice to see how the ball reacted in the wind. I was very impressed with the wind performance. 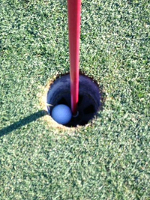 I was able to flight it low or hit it high when the shot called for it. I typically come up short on holes into the wind and there were a couple of shots that ended up pin high where I felt like I normally would have ended up short. Sound/Feel: I made a comment earlier that I thought the ball felt a little more firm than I prefer but I thought it felt great on the course. Perhaps hitting indoors changed my perception due to the sound echoing off of walls while hitting on the SkyTrak in our warehouse. The ball felt and sounded great where it matters, on the course. Distance: I am going to reserve some judgement on length of the ball until I have a more calm day on the course but I didn't get the feeling that I was sacrificing any length on the course. I was surprised at how many times I had mud on my ball tonight since we haven't had much rain lately but there is one par 5 that plays long from the tips. I hit my tee shot 288 (measured by my Garmin S6 watch) that allowed me to take a shot at the green in 2 which rarely happens from the tips. It's not unheard of for me to hit it over 300 yards occasionally so if the course were a little more firm I definitely think this one would have made it. Spin: I would rate the greens a 6 on a 1-10 firmness scale with 10 being the firmest greens I have played. These greens can be strange. There are times that I would guess they are rolling 12 on the stimp but you still leave a 1/2" deep ball mark on the greens. Notable approaches: On the first hole, I hit a smooth gap wedge that hit the green and backed up a good 8-10 feet on a down wind shot. I hit a knockdown 6 into a hurting right to left wind that I turned over a bit too much and it still backed up 6-8 inches. There was a par 3 that was playing dead into the wind at 187 to the pin and I hit two towering 4 irons that seemed to climb a bit. They were so high that I thought for sure the wind was going to hold them up and spit them out short of the green. One was on the green just short of the pin and the other was on the green just beyond the pin. Neither rolled out much (pictured below) mainly due to the descent angle but for a 4 iron, you can't ask for better than this. 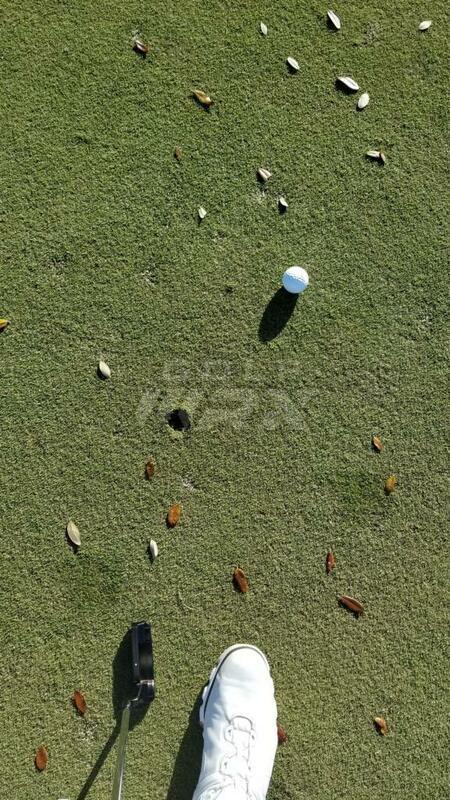 Around the Greens: Chip shots with my 58 had that nice one or two hop and stop spin. A little more than I am used to so I will need to hit it a bit harder so I don't come up short. The PW reacted well and slowed down a bit after the first hop then rolled out as you would expect. I play a deep milled putter so just about everything feels soft off of the putter. This ball was no different. From a visual perspective, my favorite part of the ball is the alignment line that is already on the ball. I got 18 holes of real golf in and played a solid round. This ball spins a perfect amount with full wedge shots. I was as dialed in from 100 yards as I have ever been so it was nice to have a few really good birdie looks. I can say with conviction, that anyone who plays with a higher priced premium ball would be able to put this ball in play and not skip a beat. 3/1: I now have 6 dozen on order with a logo of my initials. I'm a 66 year old 12 handicapper who traditionally plays a 2-piece soft core ball (Top Flite D2 Feel). I do NOT have skill for "hop and stop" greenside trickery, nor do my approach shots back up off the wedges. I look for a soft feeling ball (so I "think" I smashed the drives) that flies far enough for my driver clubhead speed (90-ish) and will hold a green on approach. My game requires me to pitch, and bump-run a lot of shots as I do not reach a lot of par 4s in reg. The Top Flite D2 Feel has been a favorite for my needs as well as the Srixon Soft Feel and the Callaway Super Soft & Wilson Duo. For these needs, I chose the Vice Drive, a 2-piece surlyn cover ball designed for this geezer! Played 18 holes yesterday on a typical Florida bermuda track. TIGHT, fast rolling fairways, with elevated, well-protected greens. The Vice felt a little firmer off the driver than what I'd been playing, but distance was equal to or greater than my normal drives on every hole. The cover it tough - played 18 holes with one ball and it still looks new. Off the fairway metals and hybrid shots, I liked the ball a bit more. Not sure why it felt better, but the firmness I noticed off my driver was not there. Iron shots were my favorite in the feel department. All of my short approach shots (9i and wedges) flew high and spun enough to hold the FIRM greens nicely. Greenside chips were the same. The ball really performed here for me and I'd say it was better off the wedges than my usual gamers. Putting was also a pleasure with the Vice. Very predictable distance control and great feel. All-in-all this is a solid 2-piece performer. I see no reason it wouldn't become my gamer! Excited to have been chosen for this test—have been intrigued by Vice’s product line for a while now but haven't had the opportunity to play them yet. I asked to try the Pro Plus, and they are scheduled to be delivered today (and I’m headed out to the golf course shortly to enjoy the current 70 degree weather in NC—come on, FedEx!!). I have consistently played the 2017 version of the Z-Star XV since it was introduced, even though I don’t quite fit the profile in terms of swing speed. I am currently playing the 2017 Z-Star, as I couldn’t find any XV’s in Tour Yellow and I prefer a yellow ball playing on dormant Bermuda in the winter months. In reality, I could play either, but think the lower spin rate on the XV suits my game better. 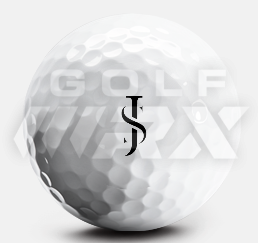 My favored characteristics of the XV are the firmer feel, performance in the wind, price point for a tour-level ball, and overall durability. These are the areas I most look forward to comparing with the Vice Pro Plus. 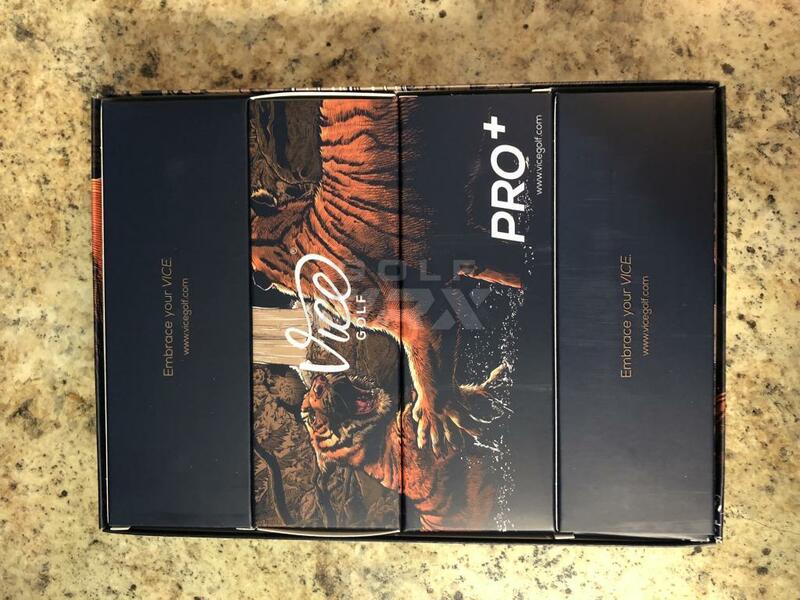 Wow just received my Vice Pro Plus golf balls and all I can say is I am excited to take them to the course. I will be testing them during a 2 round day I have planned this coming week. The trial will be one of the VICE PRO + golf ball played for a whole round and another 18 holes where I will be testing them against my two other favorite go to golf balls which are the Taylormade Tour Preferred X and the Titleist Pro V1 X. I am playing later in the afternoon as I have a better chance of getting out as a single and I will be playing more than one shot off the tee box, in my approach, and of course with the good old Flat stick. A big Thanks to Vice for giving me this opportunity as well as GOLFWRX for picking my name at Random. Now on with the show. STAY TUNED!!!!!!! Congrats! I know a few people who use the Vice Pro regularly. FedEx delivered a box of Vice Pro Plus golf balls to me fresh from Germany this afternoon. Immediately tore the box open to take a look. The packaging itself is very cool—eye catching colors and artwork. Made me want to go play golf, so I grabbed the clubs and headed out the door. I didn’t have a whole lot of daylight to use, so none of my initial testing was exhaustive. Instead, I tried to get a few initial impressions while leaving anything in-depth for later. Spent a few minutes on the practice green rolling putts with the Pro+, a Srixon Z-Star XV (my normal ball), and a Srixon Z-Star in Tour Yellow (I prefer a yellow ball in the winter as it is easier to see). Unsurprisingly, the Pro+ had a firm feel off the putter face. I was using a Cleveland Huntington Beach #3 blade putter with a milled face. Could definitely see the similarity between the Pro+ and the Z-Star XV, and the regular Z-Star was noticeably softer. Headed to the tee to get a few holes in before sunset. Immediately noticed what would be a recurring theme—this ball felt really good off the face of the driver, fairway woods, and hybrids. When squared up on the clubface, the ball feels like it jumps. Distance and performance very comparable to the XV. The evening got breezier as I went, but didn’t notice any real loss of performance in the wind to speak of. I didn’t have a chance to test much in the way of greenside or bunker spin, but the ball backed up nicely on a couple of wedge shots. One in particular was about a 3/4 swing with a 56* wedge off of a downhill lie to a downhill green. The ball flew past the hole and spun back about 5 or 6 feet. Rolled in an eight footer for birdie. Also managed to make a mediocre swing off the tee with a 3 wood that resulted in the ball hitting the cart path on the fly. The photo I have attached shows the bruise—essentially superficial with no deep gouges and no noticeable loss of performance. In fact, the next swing I made with it was a flushed 3 hybrid that was the best feeling shot of the day. One other thing that I noticed was the color. The white is a little bit duller than the Srixon white. I would say it is much closer to a Titleist white. I only got seven holes in, and the cover seemed to be holding up well (aside from the cart path kiss, of course). No complaints whatsoever about this ball so far. It did exactly what I expected it to do, and I’m looking forward to playing it more to really get a feel for it. Far too early to say if it would knock the Srixons out of my bag, but the price point of this ball when bought in bulk would be hard to ignore. At $25 a box when ordering a bunch, this ball is a deal. The Vice Drive is more in line with what I'd need, so it's really nice to already see a solid review on that ball. Hoping there's more to come. 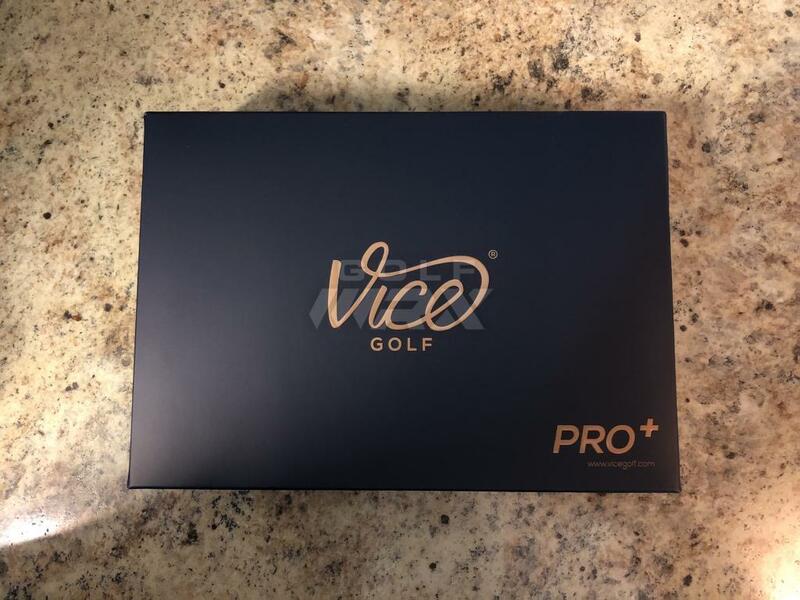 Received my dozen Vice Pro+ today. Looking forward to testing these golfballs out. Sunday will be my first round with them and I’ll give a review. Thank you again to GolfWRX and Vice for allowing me to test these golfballs. 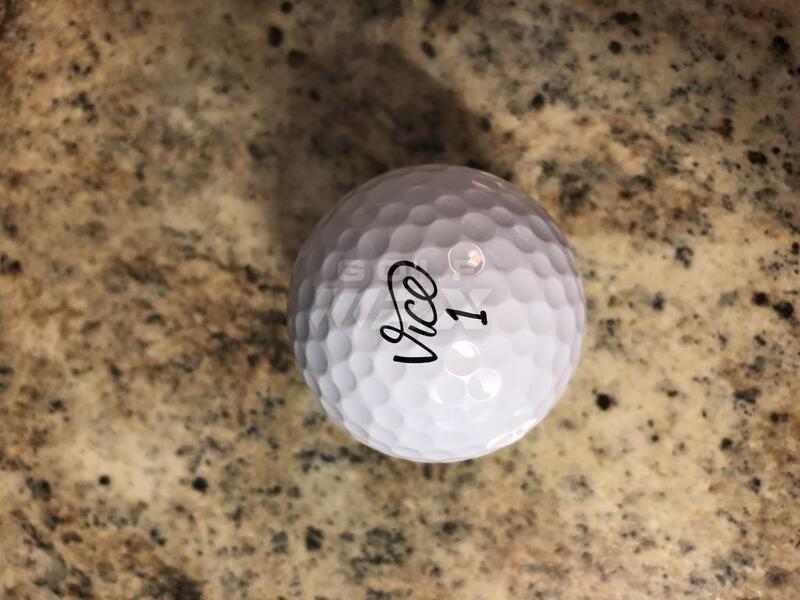 I’m going to give a brief review from my round today with the Vice Pro + golfball. 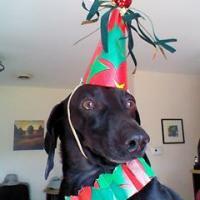 I’m not attaching any pics because several other testers have taken plenty of photos. To give a brief description of my game maybe will help with why and how I choose a golfball. First and foremost how does the golfball fly off the driver face? My golfball has to be plenty long, I’m not the longest driver in the world and being a high spin player it needs to help more than hurt. I can tell you for 100% accuracy that this golfball is long. It flys off the driver face with the best of them. Feel from the driver face felt as good if not better than a pro v1 and was longer for me for sure. Second, how does the golfball fly and feel with iron shots? This is where the golfball was not the best for me, as a high spin player I have got use to the flight of Bridgestone E6 straight flight golfballs than I’ve been using for the last 3 years. I was putting too much spin on the golfball for my liking, It’s not the golfballs fault it was doing what it was supposed to do. Third, how does the golfball react to wedges? This golfball absolutely shines with wedges. I hit several shots into greens today and put more spin than any golfball I’ve ever used I think. I hit high shots, low shots and flop shots. This ball was very well controlled and did exactly what I want my golfball to do with a wedge. Last but not least how does it feel with a putter and how was the distance control? I have zero complaints from this golfball. It feels soft but has excellent speed control and holds a line as good as any golfball I’ve ever used. Durability on the golfball was excellent from my round today. It cleaned up well and looks like it has never even seen a round or golf. I didn’t hit any cart paths or trees today and I’m sure that helped. This was my first round as stated and there will be more reviews to come. This golfball is fighting for a place in my bag since the original E6 balls are no longer made. The first round was very positive so far with just the flight on my irons being my only concern so far. One more thing on my review, I’m not a writer or professional reviewer and I’m sure there are lots of grammar errors in my review. Thank goodness they didn’t require that when picking reviewers for this golfball. Spent a little time today rolling the Vice Pro+ indoors as it was damp and cold out today. It might be an underrated feature, but I really like the alignment aid line on this ball—it is visible in some of the photos above. Simple but effective, and having the writing inside the line gives it a straight and bold look. 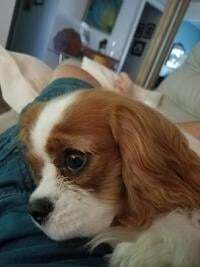 I got my balls a few days ago. Unfortunately my work schedule has not allowed for golf yet and the next two days look like rain. I'm itching for the chance to get them on the course. I'll do some putting indoors tonight and see how they feel for that. 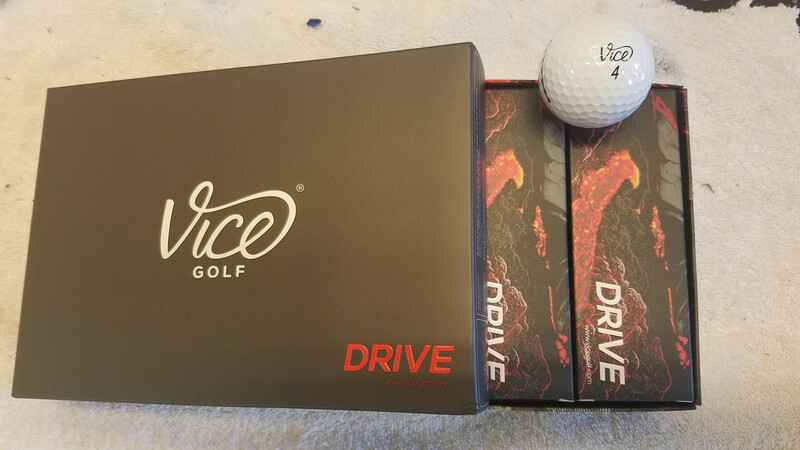 I am not one of the "official reviewers" but wanted to add my experience with the Vice balls. I was a former Srixon Z-Star player both the XV and regular Z-Star. I have played the Srixon for a long time. Last year I was having a hard time finding the Srixon's in yellow so on a whim I ordered the Vice Pro Neon Lime. I was very impressed with the ball. I have since ordered another 5 dozen for the upcoming season. I was always Switching between the Z-Star and the XV. I wanted the performance of the XV and the feel of the regular Z-Star. That is what I have found with the Vice Pro. For me the ball falls right in between the two. Off the drive the Vice Pro is great. Long Irons hold the green Short irons and wedges spin back but not off the green. Chipping and putting are a dream with this ball. I absolutely love everything about this ball for my game especially the price when you order 5 dozen at a time. I currently have 7 dozen on the shelf and am set for this year. I know that is hard for some of us to do here at GolfWRX but it is a nice feeling to know one thing in the bag is locked in for the year. 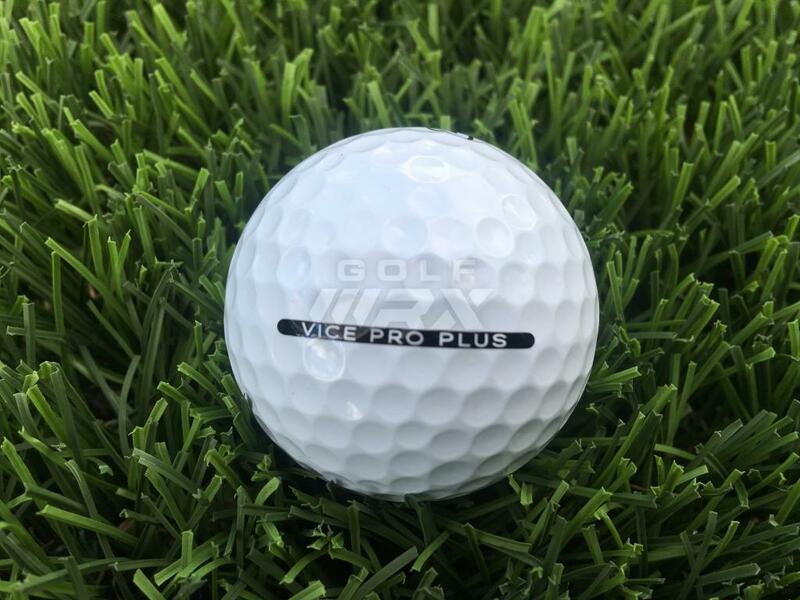 If you have always been one of those Goldilocks players looking for just right between the regular and X version of your favorite ball try the Vice pro! Post updated with some SkyTrak data. I was fortunate to be chosen for this test, the ball I picked was the Vice Pro in neon lime. I'm a 10 handicap with a swing speed of 90-95 mph. I don't have access to a launch monitor so everything I'm reporting is a result of actually playing the ball, I've got 4 rounds in with them to date. I played several balls each round and the ones I compared them to were: Pro V1, B330-RX and Project(a). All balls except the Vice were last years balls. Driver: Let's be honest - they all go the same distance. 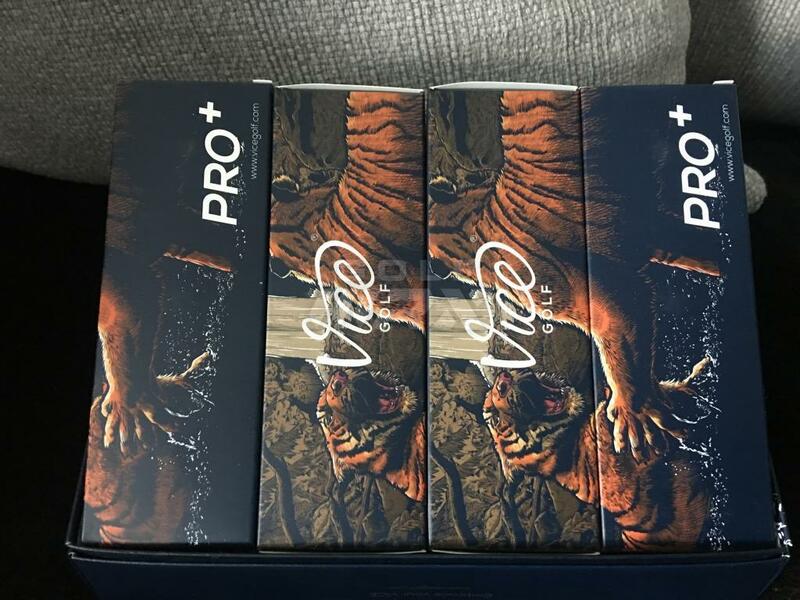 To me the Pro V1 felt the hardest, the Project(a) felt the most lively and the Vice Pro felt really solid in a good way. While I never played in a gale the Vice Pro seemed to hold its line well in the wind and didn't balloon on me. Irons: It was pretty much a wash, they all work. The Pro V1 and the Vice Pro spun a bit more but nobody is spinning off the green and everyone is stopping in ~ +/- 5'. 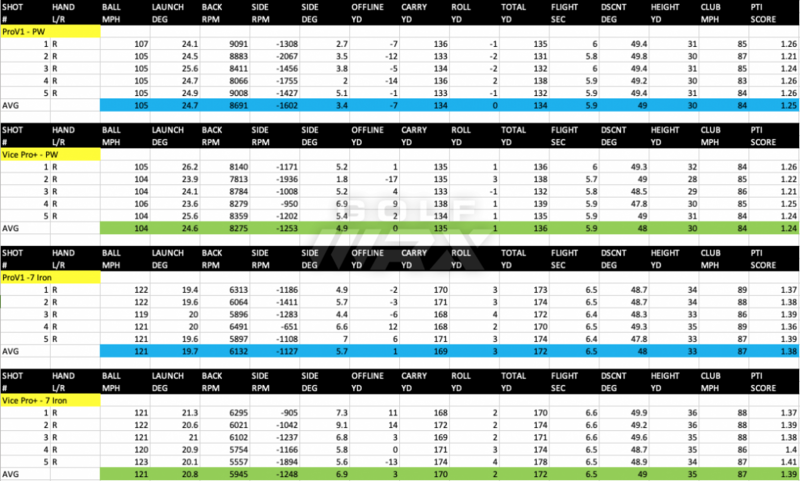 Chipping/Pitching: Here there was more of a difference - the Pro V1 and the Vice Pro clearly spun more. If you needed a hop and stop they would do it, the other 2 not so much. Putting: It was weird, here again, to me the Vice Pro felt really solid compared to the others, I liked it. 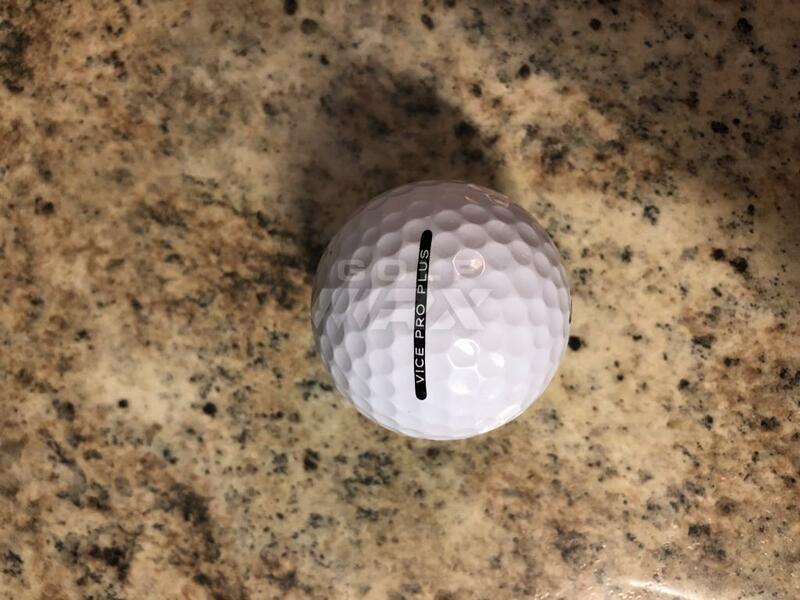 As far as durability goes I played 36 holes with the first ball and it still looked like new. The finish didn't lose its luster and the irons/wedges didn't chew it up. I never thought I'd play a colored ball, but I found the lime easier to see. This ball worked well for me, I liked its feel and it had enough spin that I could choose what I wanted to do with the ball. The thing about this ball that is most unique is its price, it's competitive with tour line balls at a bargain price. It is well worth your time to give this ball a look. Planning on trying out the Pro Soft Lime and Pro (I bought 6 doz since they had on sale), as not sure how I like the matte finish. Putted both the Soft and Pro indoors to compare to current Pro V1 and current Chrome Soft. The Vice balls feel just as good as the others. Looking forward to see how they do on real greens. Tossed a few out in the yard today (since rain has prevented playing the last 2 weekends in a row) and definitely visible in dormant bermuda and the green winter rye. I really like the color. Report back more if we actually get to play tomorrow morning. I plan on course testing and comparison over couple rounds, but I'm stocked up on the Pro Lime for a while, at least this year. Got in a round playing the Pro+ yesterday. The golf course was pretty wet, as we had a rainstorm come though the night before, and it was windy and cold. There was very little run out on the fairways, so I got a pretty good idea of what my carry distances were off the tee. By flight characteristics, feel off the club face, and distance, the Pro+ is very similar to the 2017 Z-Star XV. If there is a significant difference between them, I’m not a good enough player to notice it. 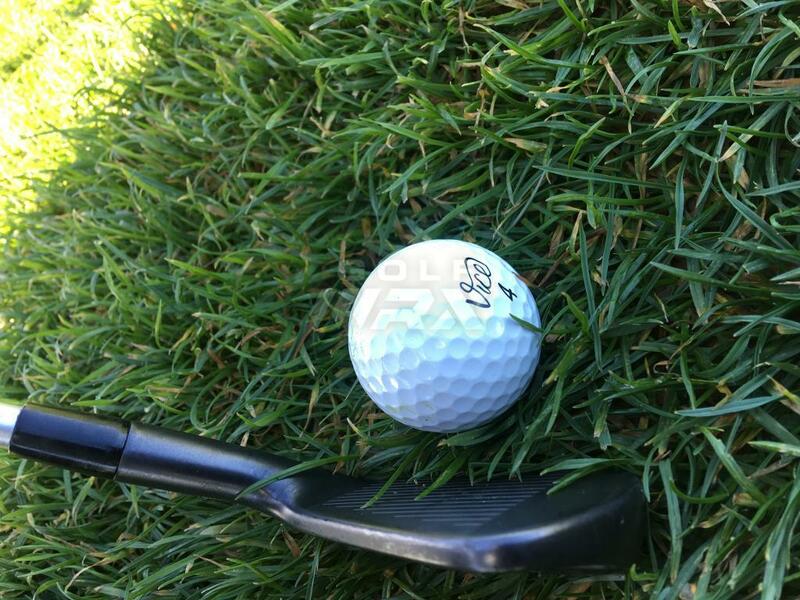 In fact, the ball consistently feels like I have clobbered it like the old man in the GX7 commercial (“that’s crushed!”). No question that my favorite thing about this ball is the feel off the face at impact with the longer clubs. Tougher to tell about short game feel, as it has been so chilly that most of the shots I’m playing around the greens are dead-handed pitches and chips. It does seem to want to hit and stop or hit and chase more than it will spin back (again, very similar to the 17 XV). I definitely think that this ball is a great value for the level of performance it provides. Buying them in bulk for $24.95 a box is a deal. Got to play today for first time in 3 weeks. Temp low 40s, wind 15-low 20s. Played most the Pro Soft. Very nice golf ball, Stops within a foot or so where it lands, didn't spin many back as greens were super soft. Feel is soft yet solid. The matte finish does tend to hold onto, and harder to clean, than the gloss finish Pro. Only sort of scuffed one out of a buner, so could have been something in the sand, but thought I'd mention. I'd say distance on par with Chrome Soft, though will be trying on a little warmer day in near future. Overall, I really liked the ball, though conditions not the best and didn't play too well, have to say for half the price of Chrome Soft, I am near becoming a convert. Certainly wouldn't hesitate to recommend these to anyone. Played round 2 with the Vice Pro+ yesterday. Verified that this ball is long off the driver. Guess that’s my biggest surprise so far. The pro+ continues to impress me with the spin from wedges, I had the confidence yesterday to throw some very low spinners into greens. Loading up for the third round with them this morning. 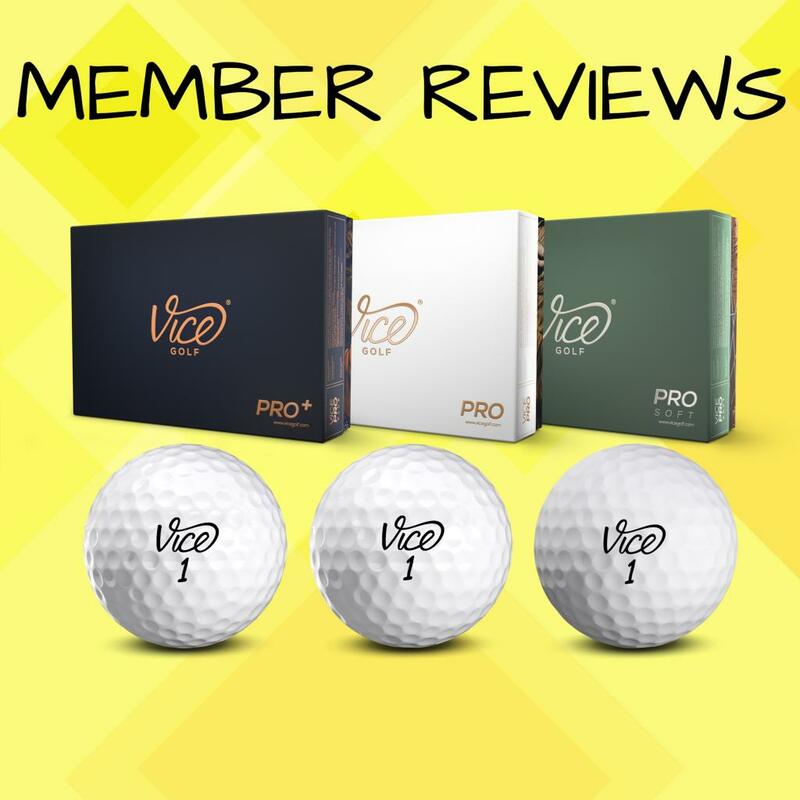 I’ll do my final review of the Vice Pro+ golfballs. Thank you again to GolfWRX and Vice for selecting me to do this review. For my final review I’ll go ahead right off the bat and state that this golfball is very legit. I’ll give it an over rating of A+ for sure, this golfball did everything I asked of it. Here is a breakdown of my final rating system. 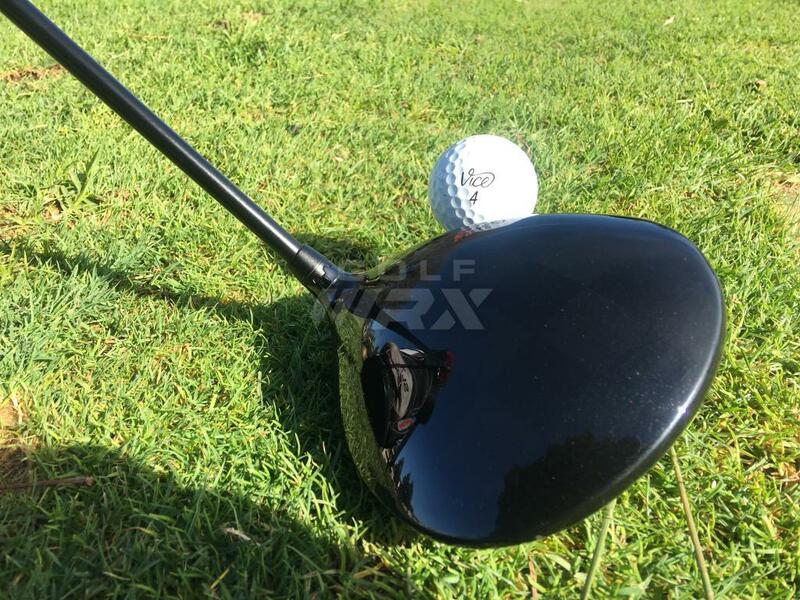 Driver A+: This golfball is Amazing off the driver face. It is very long for me from the driver. Today I played in strong head winds and was able to keep this golfball down and it held a strong flight against the wind. Irons B: The Pro plus did not just perform the same for me with the irons as it did other clubs for some reason. Never could just put my finger on what the problem was. I was able to control the ball very well with the irons but nothing that just had the same wow factor for me. 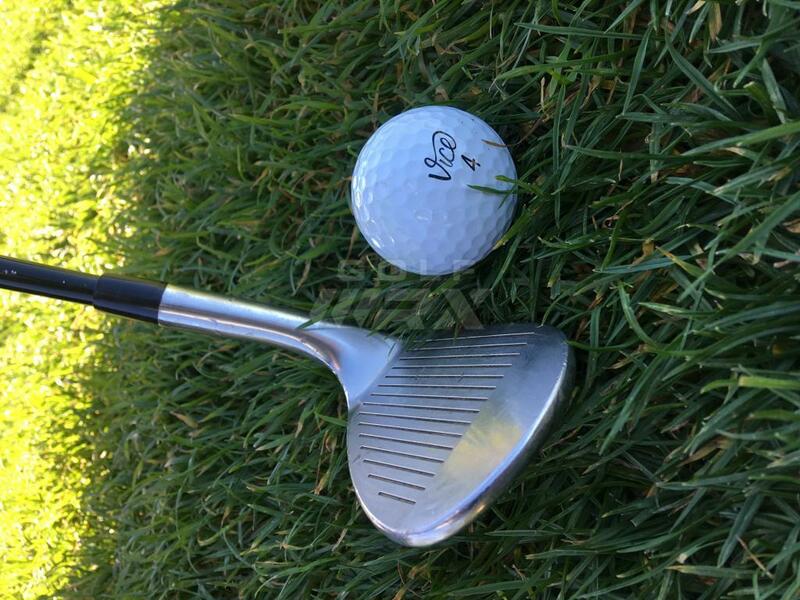 Fairway Wood A+: I hit some excellent fairway wood shots with this golfball. Like my driver it came off the face hot and had excellent carry. I could flight it high or low with the fairway woods. Hybrid A+: again same as with driver/fairway woods it was a dream to hit with my hybrid. Wedges A+: really shines off the wedges with excellent control and spin. 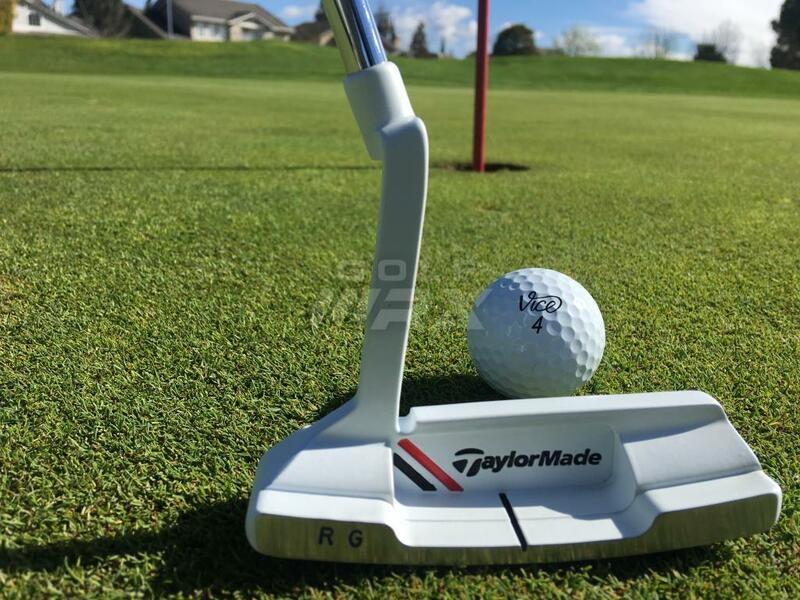 Putter A: feels very soft off putter with excellent speed control. Had zero complaints from the feel off the putter face. Overall A+: Think I have found my replacement golfball. For the performance and the price it’s going to be hard to beat. Durability was great for me also, I didn’t give it a rating on durability because I really keep this ball in play for these 3 rounds. After each round the golfball cleaned up like new and I didn’t notice any color changes like other testers have stated. 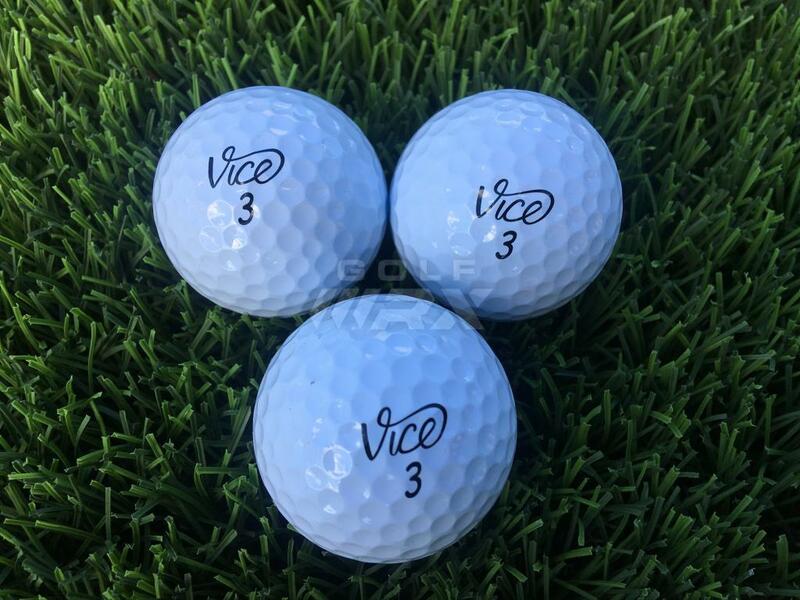 If you are looking for a premium golfball at a great price please give Vice a chance. This golfball was equal to or better than any Pro v1 golfball I’ve played at half the price. Very nice. I might have to give these another go. Poor weather and difficult scheduling continue to keep me off the course. I have been able to do some indoor putting and <20 yard chipping though. Putting; I may be weird but the driver and the putter is where I always notice the biggest differences in balls. I like the ball to feel soft yet responsive off the putter. My normal gamer is a Titlist AVX and before that the ProV1x. For the testing, I have the Vice Pro+. I'm out of AVXs so I'll pick up a sleeve before I do my on course review. I've been putting with the Vice Pro+, ProV1 an ProV1x. I honestly prefer the Vice ball to those two. The ProV1 and ProV1x have much more of a solid, almost harsh, click while the Vice Pro+ feels more connected. There's a softer "click" followed by a soft push off the putter face. I find this hard to explain&#4323604; but it feels great. I also LOVE that there is an alignment stripe on the ball already. I always use a line to set up my putts and it's annoying to have to draw that every time I open a new sleeve of balls or if my sharpie Mark gets smeared by something during play. It's one less thing to worry about. The ball rolls true, they feel great and they're cheap! Again I was chipping with Vice Pro+, ProV1 and Prov1x. 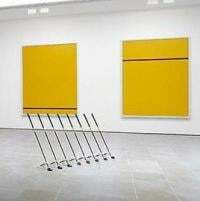 I could not tell much difference between the balls at all. 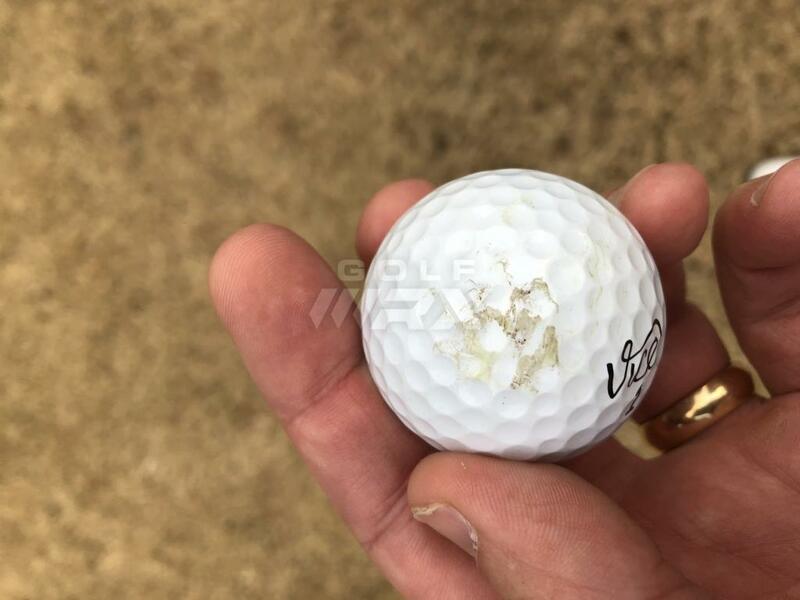 The ProV1x may have been slightly firmer but they all stopped when I wanted, rolled when I wanted and showed no wear, aside from green grass marks. I'm really excited to get these on the course and see how they stack up to the AVX. Once I get the on course testing done I'll post a much more thorough review. Like others weather has been an issue this winter. I have had the Pro+ along with the '19 TM TP5X from their tour office in Carlsbad and the two new '19 Srixon tour balls given to me by the their top official at the PGA Show. Also the newest ProV1 (not X) and latest Chrome Soft and the Snell Red. So complex extensive testing in various conditions will take a while to complete. That said some preliminary and limited observations: the ball has very good length in mid & long irons along with FW woods. Longer shots seem to be a little longer than the ProV1s. Similar in distance to the others in short clubs. The TP5X appears longer and straighter in the long shots. The Pro+ seems most similar to the ProV1 of all the balls especially in side winds where they both have more curve in strong winds. Thus one have to allow for less stability in cross winds than the TP5X which is almost straight by comparison. The Pro+ early on appears to be longer into the wind that the ProV1 which has never been it's strong point. Much more work to do, especially in more normal and calmer conditions and with all the balls head to head. Many know that I used to do a complex player's annual ball test in the late 90's/early '00s. It was extensive and took a lot of time (weeks) to do properly. While I won't guarantee that diligence I will do the job to come to more conclusive results. I will say that this appears to be a serious ball to consider. This blasted weather has seemed to delay almost all of the testers this winter. I'm not a selected tester, but I played Pro+ exclusively last year (one cloudy twilight round with Srixon Z Star XV Yellow just so I could see the ball better). Previously, I played Titleist ProV1x (2017 model most recently). I've found Pro+ to have a more stable ball flight on driver and long irons. I've found it to be more durable. I've found it to spin as much on all shots into the green and all short game shots around the green. Brand loyalty is a real thing, and I am still sentimentally drawn to Titleist. It only took a round or two last spring to not even notice that I switched. Plus, it's the coolest logo in golf, IMO. It's a great ball and definitely worth checking out. I ordered five dozen in lime this winter and can't wait for spring! Post 3 updated after some practice holes tonight. Thank you GolfWRX and VICE GOLF for a great opportunity to try out the SELECTED pack!! It was a lot of fun trying out the balls on the course over 9 holes. I'm a 2 hc, that plays mostly a fade. 100-105 mph driver swing speed. Today, I was able to play at my course over 9 holes. With the course being pretty open, I was able to test ALL 5 balls from various shots from Tee to Green. The hardest ball of the bunch. The balls wasn't as hard as I thought it would be with decent spin. It was a great opportunity to try a harder ball than usual. BEST BANG FOR YOUR BUCK BALL!! Short game - softer than DRIVE, but still a little hard. spin was good all around with predictable roll out. Coolest looking ball with the Matte White color. Driver - Little too spiny off the tee. The soft feeling was nice, but off the tee, this was my least favorite of the five. Short Game - the softest ball out of the bunch. if you want a soft ball around the green, this is the ball. Putting - nice soft feel, but maybe a little too soft. as in the short game, if you want a soft feeling ball when you putt, this is it. 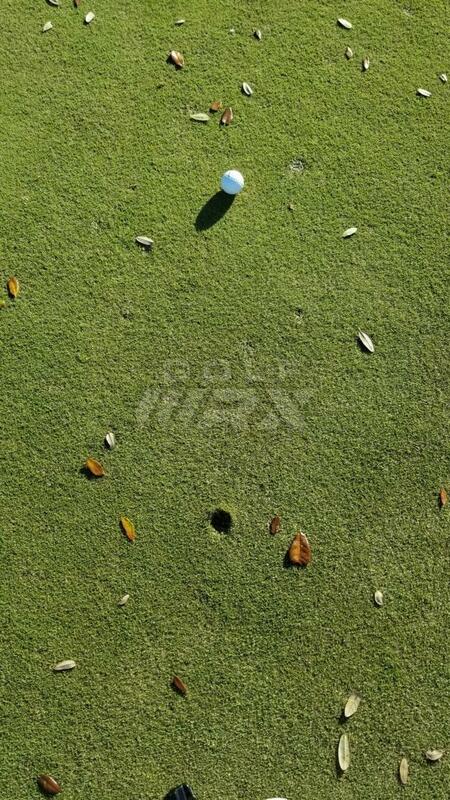 Putting - personally, this was the best feeling ball on the greens. First, the TOUR was a very surprising golf ball. At $80 for 5 dozen, this is BEST BANG FOR YOUR BUCK. The ball performs really well from tee to green. Short game and bunker shots had great spin and distance off the tee is great too!! The only reason why I might lean towards the PRO PLUS is the feel around the greens. However, I will test the TOUR and PRO PLUS again in the next few days for a head-to-head comparison. Thank you again to VICE GOLF and GolfWRX!! 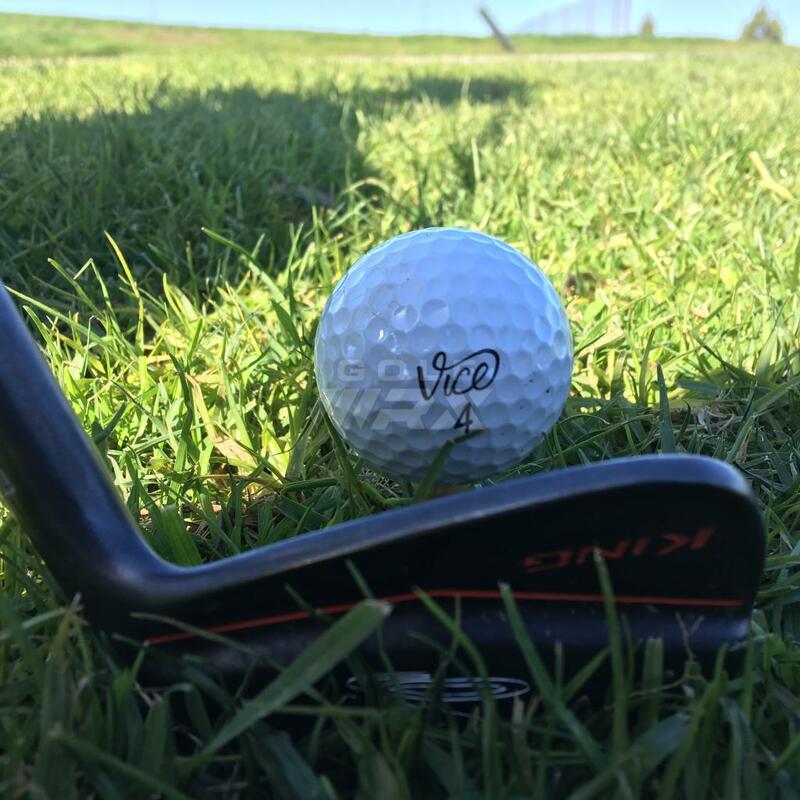 First off, my thanks to GolfWRX and VICE GOLF for the opportunity to review the VICE PRO+ Lime balls. Unfortunately it has been wet here in Atlanta, Georgia since the balls arrived. However, I was able to get 18 in during a break in the rain. With that being said, the course was extremely overgrown and soft due to the weather, so I might follow up with a second review once it dries out here a little. I'm a "fluctuating" 12 hc, that mostly hits fades with the driver. 95-100 mph driver swing speed, sweeper with a smooth transition. Disclosure: I've played the VICE PRO in Red ("watermelon") quite a bit over the past six months. I really like the performance of the PRO, but was just so-so on the color. The red color itself looks cool, but it's not as visible in the red Georgia clay or when the grass is dormant. I thought I'd kill 2 birds with one stone and see if the PRO+ in lime gave me any extra distance or extra visibility. Both of VICE's colors are great looking. However, the lime gives a much better "pop" of contrast against the dormant grass, dead leaves, and Georgia clay than the red does. The lime is probably one of the most visible yellows on the market. As said above, the testing was done on a wet, overgrown course - probably the worst conditions for getting the results I was looking for. Driver - Low spin, but I didn't benefit from any long rolls due to the soft/wet fairways. I hit a VICE PRO comparably the same distance a couple of times (probably because I was getting a higher flight). Irons - Overall good performance, but it definitely felt harder coming off the face (compared to the PRO), despite this I would say the two balls produced roughly the same results. Short Game - this is where I prefer the compression of the PRO a bit more. I still got good results, I just like that springiness feeling the PRO has coming off of wedges. Putting - I actually really liked the feel of this ball on the greens better than the PRO. This is where the firmer feeling ball helps. Based on the one round in wet/overgrown conditions, I think I would prefer the PRO over the PRO+, but again, my playing profile puts me in the PRO to begin with. I still have 9 PRO+ balls left, so I will save them for when the weather gets dry and report back. However, I will say that both the PRO and PRO+ perform better than any other ball I've played at the same price point. 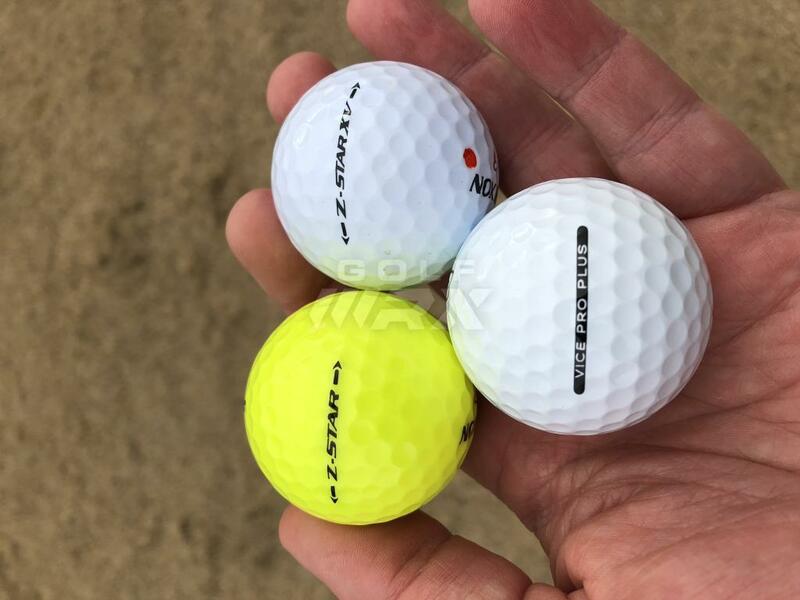 I will also say that the VICE Lime color is my favorite yellow ball on the market. I'll 2nd Dash's nomination of the Lime being my favorite 'yellow' color. At first before taking them out on the course, I wasn't certain, but on the course they're so visible even in dormant bermuda rough (I miss a shot once in a while - LOL) where other yellow tend to hide somewhat.